This partnership between Kwantlen Polytechnic University and School District No. 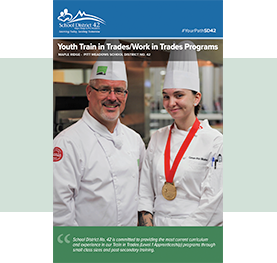 42 provides a unique opportunity for secondary school students to complete Grade 12 graduation requirements while earning post-secondary credits and certification in the masonry (bricklayer) field. Additionally, students will acquire job-ready skills to enter the job market or pursue other post-secondary education. Qualified adult students who have not graduated and graduated students (under 19 as of July 1) may be eligible for the program. Students will develop the necessary habits concerning safety and the proper use of time, tools, materials, and the work skills required to be a competent tradesperson in today’s workforce. Students who successfully complete the Masonry (Bricklayer) foundation program will receive Level 1 in-school technical training credit and 375 work-based hours towards completion of the Masonry (Bricklayer) Apprenticeship program. The program is five months (September through January), Monday to Friday, 8:30 am to 3 pm, at Thomas Haney Secondary School. Students who successfully complete program will have completed five courses for 20 credits on their secondary school graduation transcript. They will also receive a Kwantlen University certificate and Level 1 apprenticeship.